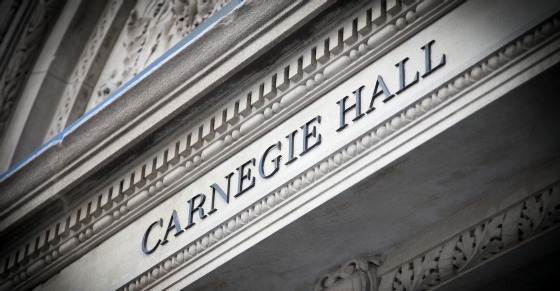 Fortunately, Carnegie Hall remained and today it is an iconic institution that has brought great joy and enrichment to thousands of people over the years. In this blog post, I will focus on Carnegie’s philanthropy and philosophy related to wealth and distributing it. After finishing Andrew Carnegie’s autobiography, I immediately turned to reading his short piece called The Gospel of Wealth, which espouses his philosophy regarding the purpose of accumulating wealth. Carnegie’s assertion was that economic inequality is an inevitable byproduct of the capitalist system because the combination of entrepreneurial and managerial talent is such a rare set of skills that those few people (men at the time) should earn tremendous rewards because they will have improved society immensely. The ability of great organizers and risk takers to manufacture highly desirable goods with tremendous economies of scale served to improve quality while lowering prices and employing greater numbers of people thereby creating more purchasing power and enhancing the welfare of society as a whole. Their success in making this happen was often times the accumulation of great wealth and something that should not be discouraged. According to Carnegie, it is better to have inequality than universal squalor and without concentrated wealth society would not be elevated to higher planes of living because there would be very little culture in terms of museums, music, literature, poetry, parks, and libraries. These best come from wealthy individuals invested in improving society by elevating its culture versus from governments. They are highly committed and want to make sure their personal stamp of excellence is put on these institutions and edifices. The law of competition (capitalism) can breed very nefarious side effects. Wages are a big input in a company’s cost structure and therefore they need to be managed carefully which can lead to unrest and tension between capital and labor. Working conditions may be sacrificed for profits as a result. And yet, as Churchill said about democracy, capitalism is the worst system except for all others. According to Carnegie, it is up to wealthy capitalists to do their part to help improve the lives of the people who have only their labor from which to earn a living. Carnegie said that the wealthiest capitalists should ultimately look at their true purpose and reason for being as serving society and its less fortunate through the appropriate use of their surplus capital. There are three ways to do this. Carnegie detested the first course of action as he hated hereditary wealth and stature and believed that it typically did more harm than good for the recipients and society. He was not a great fan of the second because he felt that often times the organizations receiving the funds would not carry out the will of the benefactor because he was not involved or that his motivations might be more for self-aggrandizement and egotistical needs than altruistic. He also believed that many of the wealthy who wait to give their money away until after their death would continue to hold on to it if they could take it with them. Carnegie was a huge advocate of the third option. And boy did he live up to his philosophy as you will soon see. Bill Gates is a modern day version of Carnegie and not surprisingly he was heavily influenced by Carnegie and Rockefeller in turning to philanthropy while alive. He was also successful in convincing Warren Buffett that he could do more good for society by giving a large amount of money away while alive than waiting to pass it on after he died. It is estimated that Andrew Carnegie gave away $350 million in his lifetime. Assuming he could have earned 5% per year between 1901 (when he received the bulk of his money via the sale of Carnegie Steel to the newly created U.S. Steel and received much of his consideration in bonds paying 5%) that would be worth $91 billion in today’s dollars. And just to show you the power of compound interest, if he had earned 6% per year then that value would be $268 billion!! When reading about great historical figures or events, I often like to turn to www.newspaperarchive.com to do some real time research. 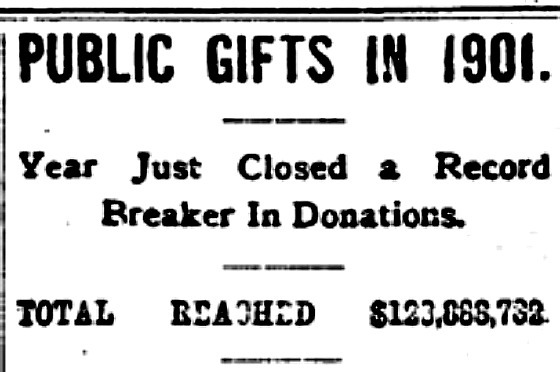 I came across the following article from 1902 highlighting the largest charitable donations made in 1901 and highlighted those made by Carnegie. The outlier is the extraordinary gift of $30 million made to Stanford University by Jane L. Stanford. Next to that, Carnegie is by far the largest benefactor and to many different organizations. His largest gifts totaled more than $20 million to eight organizations. In contrast, John D. Rockefeller only shows up once with a $1.25 million gift to The University of Chicago (which we’re grateful for since my daughter now goes there). Not surprisingly, like Gates and Buffett today, Carnegie was in favor of an estate tax which graduates from zero at a level that can provide for heirs to a very high percentage when wealth swells in order to create an incentive for the rich to attend to their wealth during their lifetime since Carnegie believed that it was the duty of the wealthy to use their surplus capital to improve the quality of life of the less fortunate. I believe that when we make decisions with a larger point of view and philosophy in mind that it allows one to live from a guiding prism and sense of purpose which can make life more meaningful and joyful. Carnegie operated this way. 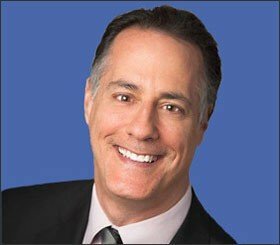 His eureka moment came when he aligned on a philosophy that married his optimistic nature with his belief in the power of giving back to humanity and the incredible return on investment that comes with that. If you’re interested in knowing what Andrew Carnegie’s philanthropic efforts have created and long endured, then I suggest you click on this link. As you know, we have been substantial investors in The Hunger Project for 38 years and we still find it to be the highest leverage investment we have in terms of impact around the world. Dwight, thank you for your thoughtful reply. I was trying to be cute and cue off of a Red Hot Chili Peppers song with the title of the post but your points are well taken. You and Suzanne have truly been wonderful examples of making the world a better place through your investments and in turn generating a huge return personally and for those you have invested in. Thank you for all that you have done.